Welcome Elaine What is your most current work? 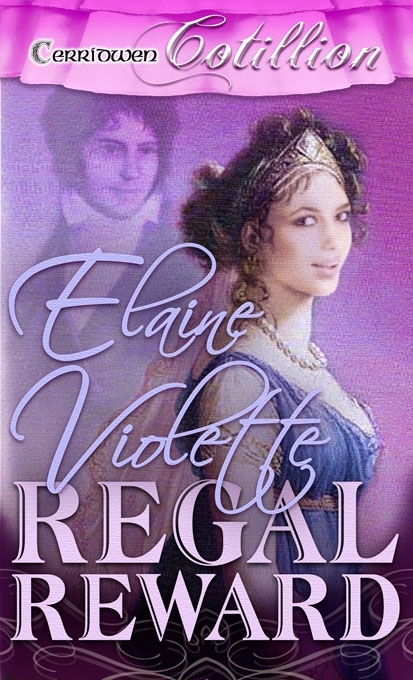 My newest historical Regency, A Convenient Pretense, published by Ellora’s Cave/Blush imprint will be released on April 4th, 2013 and is available for pre-sale on Amazon and Ellora’s Cave’s website. 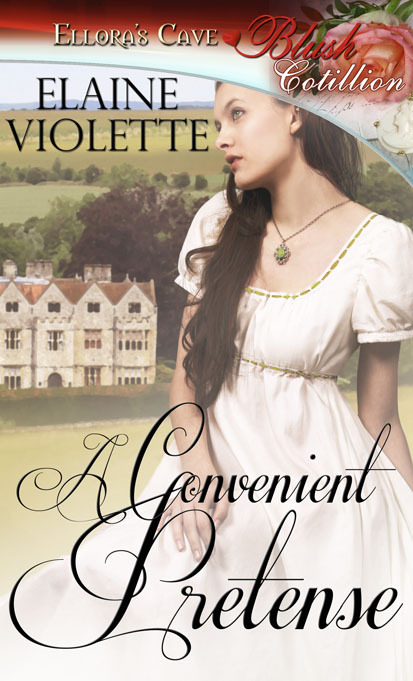 A Convenient Pretense is my second historical Regency romance. My first novel, Regal Reward, also published by Ellora’s Cave as a Cotillion under the Blush imprint, tells the story of the Blackstone brothers. My third one, A Kiss of Promise is under contract and continues the saga of the Blackstone brothers. It will be released later this year. I have read hundreds of historical romance novels over the years, being fascinated by the culture, architecture, and manners of the time. In my research I’ve found that beneath the elegance of the period lay a darker side. I portray this, especially, in my first novel, Regal Reward, where my characters not only enjoy the aristocratic life style of affluence, but also experience the seedier side of London that was poverty-stricken, where thievery was a means of survival. Interesting question, and a tough one. Just one? Emily Grace, in A Convenient Pretense is, perhaps, my favorite currently. She refuses to follow the custom of marriage as the only salvation for women, preferring to write poetry, and unwilling to admit that she hides her passionate nature in her poetry. Though, I enjoy each of my heroines’ feistiness, the Blackstone brothers, York and Martin, hold a special place. They appear both in Regal Reward and my third novel, A Kiss of Promise. Both lose their aristocratic birthright and are forced to live among thieves until they can avenge their unfair demise, and both find love in the most unusual places. I admit their adversaries hold a special place in my heart as well. They truly are desperate, despicable villains. I am pleased to say that because my novels embrace stealth, treachery, and adventure as well as romance, men also enjoy my novels. Romance novel are not just for women! I have an idea for characters and a major premise, beyond that I find my characters direct me to who they truly are, how their obstacles will lead them, and who will appear destined to help or hinder their progress. First, finding the time to sit down and write for a good length of time and second, research. I mention research because I am presently working on an historical romance that takes place in New England in the post-Colonial period. I have found that this is a neglected region for historical romance fiction. Unlike Regency material which readily available on the web, I must dig much deeper for this one. What TV shows are you addicted to? I love, love , love Downton Abbey. I love the elegance, the gowns, the language, but the story line is fascinating and fast paced. In a different genre, I also miss following the wild adventures of Jack Bauer in 24. Homeland is another favorite and I look forward to another season. I suppose that’s why my novel are not simply romances, but have an edge. I enjoy having my characters overcome villains as well as their inner fears and resistances. Do you have a favorite movie you have seen in the last few months and/or all time favorite? Actually, I just saw Life of Pi and thought the cinematography was amazing. Lady Hawke with Michell Pfeiffer and Rutger Hauer came out in 1985 and though the background music is pretty bad, the love story is so romantic. I admit to viewing it over a dozen times. If you could co-write with another author, who would it be? Mary Balough without a doubt. I love the emotion she instills in her characters and her plots are always engaging. What’s the biggest think you learned about the publishing industry so far? That business comes first, not the writer. That no matter how hard you’ve worked on your final manuscript, editors will find something wrong. That rejection doesn’t mean your work is bad, but it might be wrong for one publishing house and right for another. If you still have one of those pesky non writing jobs, what is it? I am a former high school English teacher and presently teach public speaking at a local community college. This question made me laugh. I haven’t actually had that experience yet. I can’t help but think of my study of Shakespeare’s Romeo and Juliet, or The Taming of the Shrew. Isn’t romance at the heart of many works that are thought of as great literature? And isn’t it the deepest desire of most human beings to love and be loved? I guess my reaction is to smile and ask them what they think real writers write. Do you belong to any writing groups and how have they helped you? 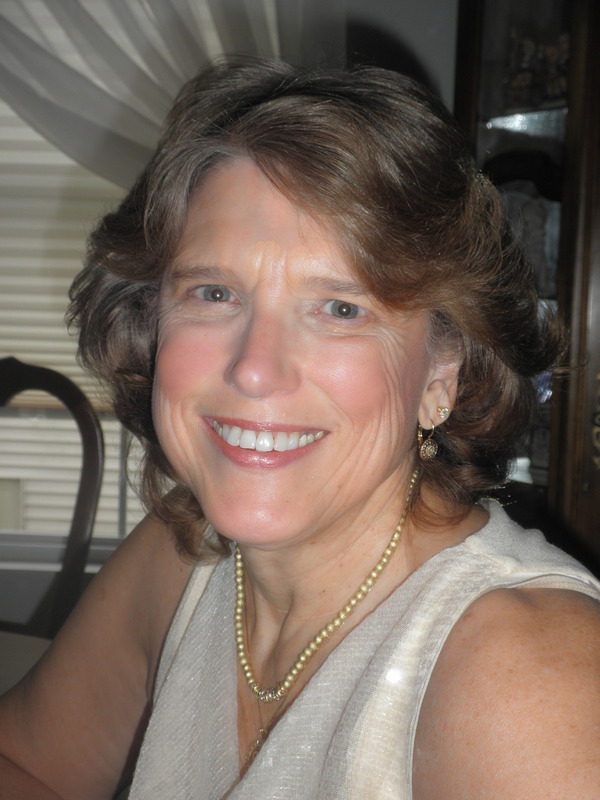 I belong to Romance Writers of America and two local affiliations, CT Romance Writers (CTRWA) and Charter Oak Romance Writers (CORW). The members give solid support to each other’s endeavors whether published or unpublished as well as offer scores of workshops and conferences to help writers improve their craft. Writing is a solitary career. To have fellow writers available to discuss our works as well as the publishing business is indispensable. I love dark chocolate, and one of the best gifts I could receive is a box of Godiva chocolates. Hmmm. I find a summer day out on a kayak to be heaven, a single rose to be as romantic as a dozen, and a lobster dinner to be a sensual pleasure. My website, http://www.elaineviolette.com is under construction and should be available by April 1st. I think loving dark chocolate (as well as lobster and kayaking) is the right way to go, not silly at all! The book sounds wonderful, Elaine. Best of luck with it! I look forward to reading A Convenient Pretense, Eliane. Congrats on the pending release.